All-copper alloy construction for high mechanical strength, maximum conductivity and low resistance. 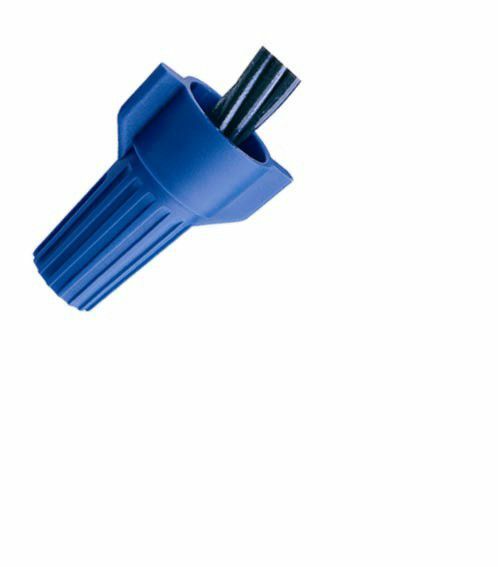 CE Winged Wire Connector Blue Qty 15 Connect and insulate 2 or more bare copper wires with the Winged Wire Connector. The contoured wing design offers a maximum level of torque, and the deep skirted flame-retardant shell helps provide long-lasting use.